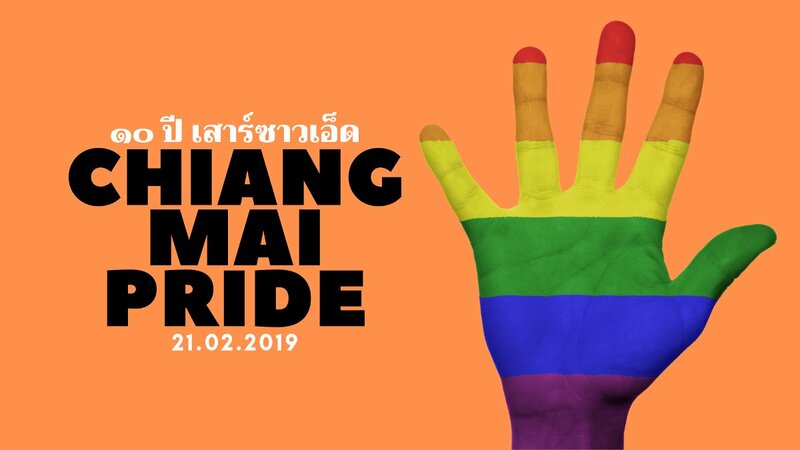 Ten years since the last Pride event in Chiang Mai, Pride returns to the city on Thursday 21 February 21th 2562 (2019) This is a day to campaign for an end to violence against a variety of sexual groups all over the world, and celebrate the battle for inclusiveness in sexual diversity and gender. 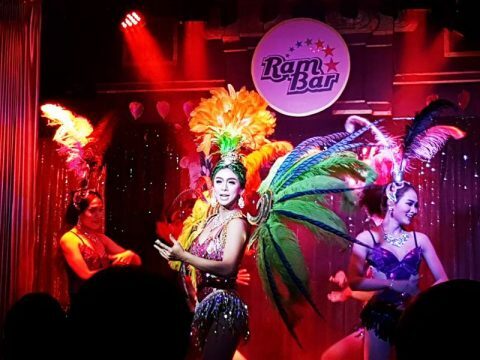 The date is significant as it is the tenth anniversary of Chiang Mai’s last Pride which was cancelled on the day of the event as a result of a mob of thugs threatening violence against the participants. This is a day to promote protection for sexual minorities against violence, reflect on the past and promote a better quality of life for the future. The LGBT network in Chiang Mai consists of the Young Pride club, Mplus Foundation and the Northern Rights and Liberties Protection Office, the new Provincial Social Development and Human Security Office, together with networks that work on issues of gender diversity In Chiang Mai. 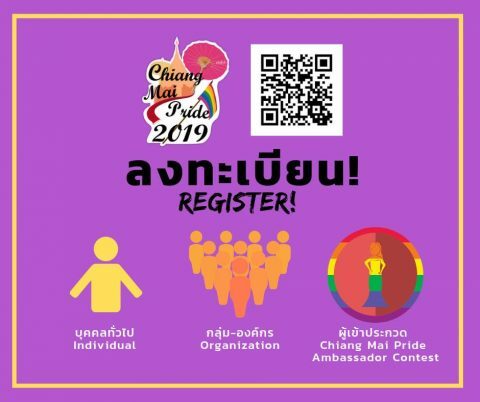 “Chiang Mai Pride 2019” on 21 February 2019 at 18.00 hrs. – 22.00 hrs. 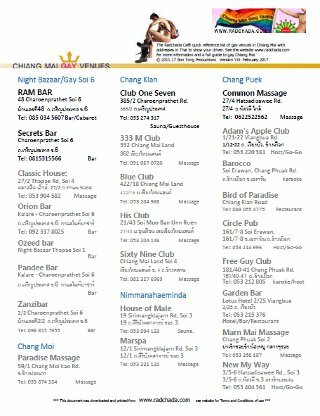 Starting at Chiang Mai’s Night Bazaar, then moving to Thapae Gate. 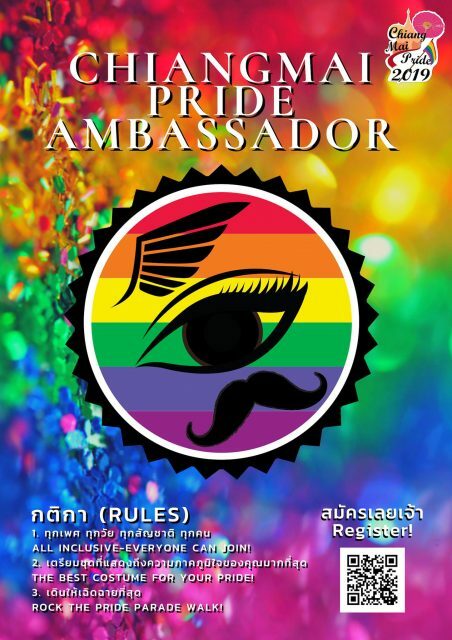 The Pride Parade will start at the Chiang Mai Religion Practice Center (Buddha Sathan พุทธสถานเชียงใหม่ – at the intersection of Thapae Road and Chareon Prathet Road) and end at Thapae Gate . This event will consist of a campaign parade or a Pride Parade, showing support for the LGBT Community and more. At Thapae Gate, speakers will reflect on the community’s history and current events. Click on the link below to go to the event registration page – It’s free! Registration is required to help the organisers plan the parade and know how many participants to expect.